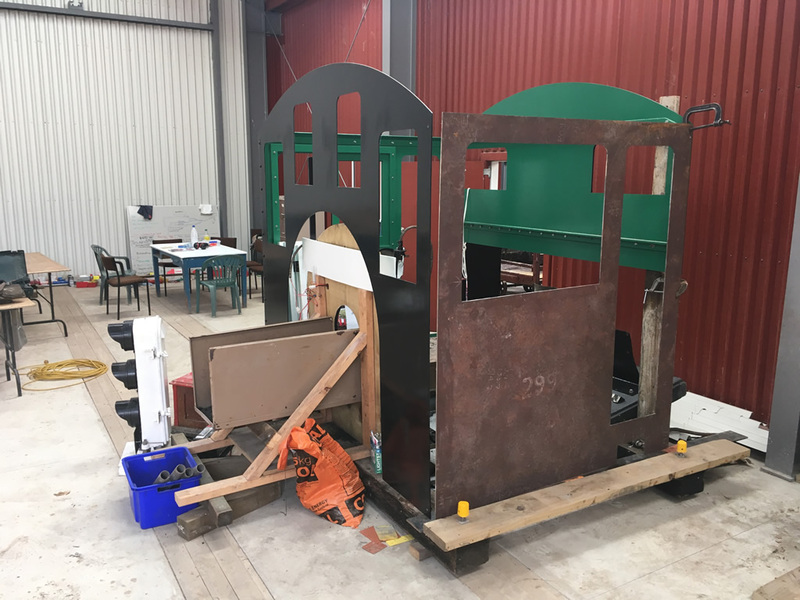 As detailed in a previous article - Cab work continues for steam loco Wb 299 - CAD drawings for cab components have been prepared, referring to original Baldwin drawings, samples saved from the original cab, and photographs of the locomotive in service during the 1950s. The components have been test fitted in a CAD model. 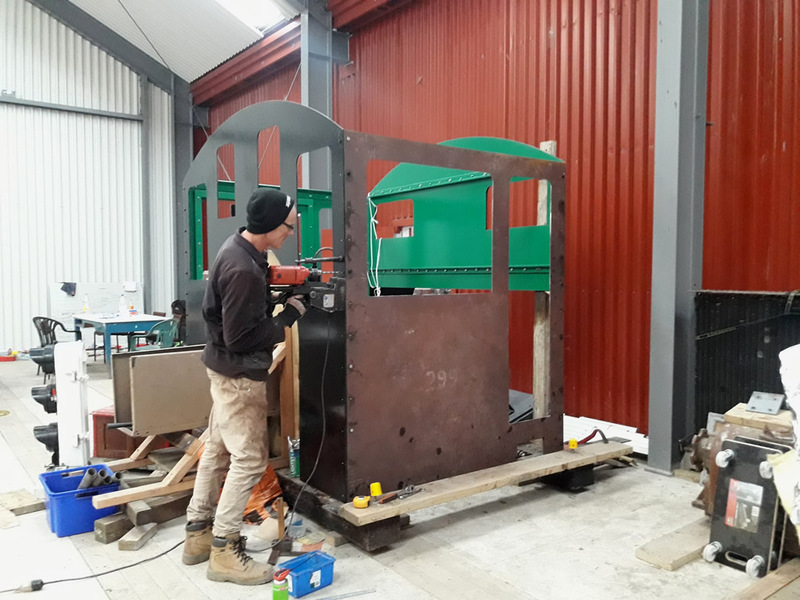 Next steps are to fit steel angles that support the cab floor, make and fit the half-round steel window and door beading, and get the cab roof rolled. 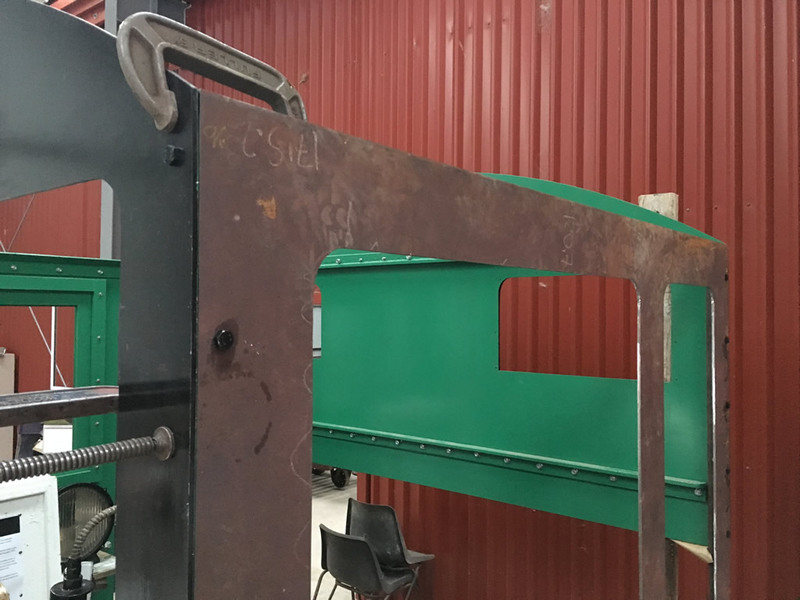 The cab sub-frame and main locomotive extension frames are also on the list of items to make. 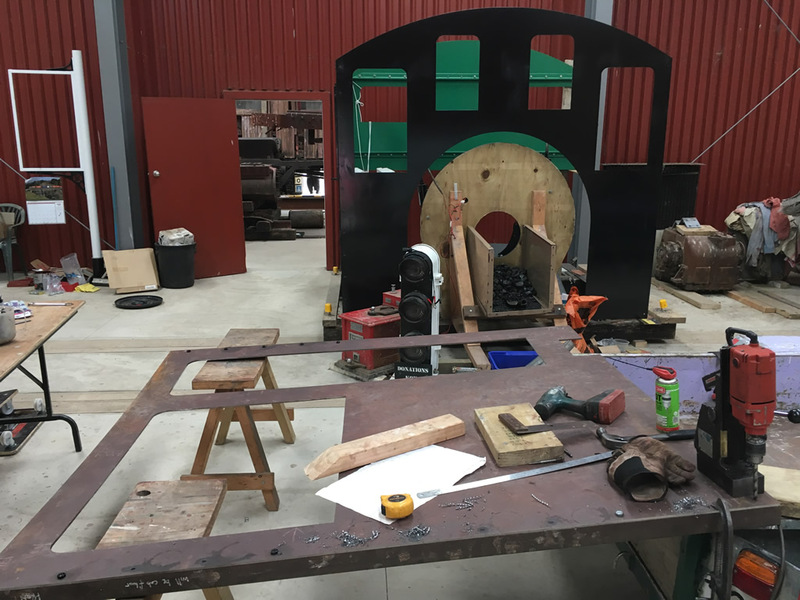 Internal view of fireman's cab side, with the side sheet secured to the back sheet. 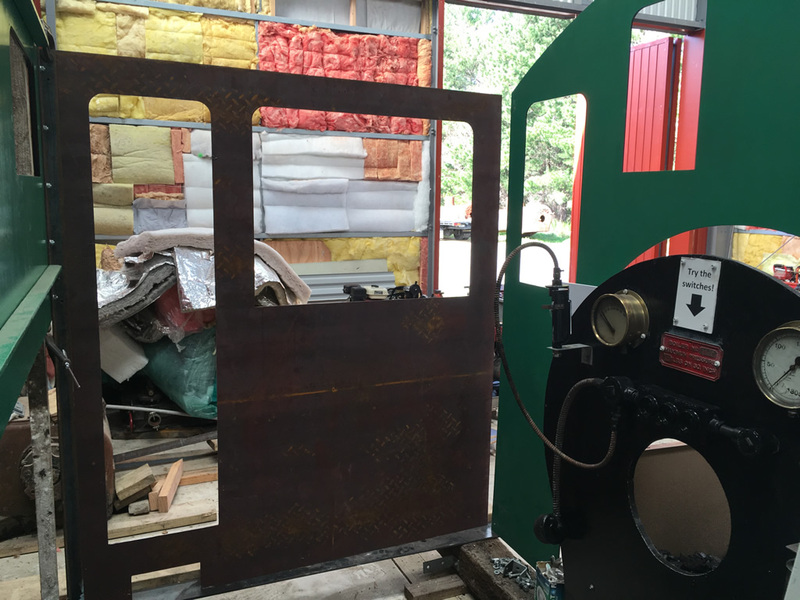 The firebox mock-up / interactive display is located under the cab front sheet, with an assortment of gauges, lights to work and coal to shovel through the firehole door. Drilling and fitting angle to fireman's side on 21 April 2018. We took the side sheet down from the rest of the cab to make it a little easier to do the marking out and drilling. Detail of cab front / side corner - 10mm bolts on front sheet will be replaced with rivits in due course, once everything had been fitted up.